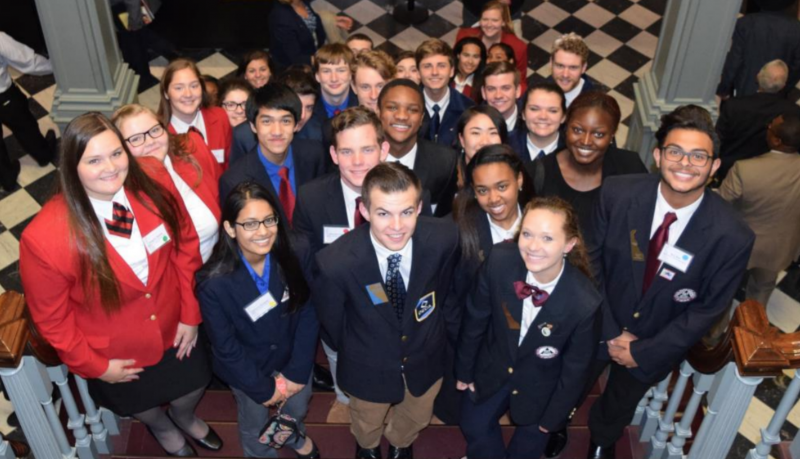 The Delaware Career and Technical Student Organizations of BPA, DECA, Educators Rising, FCCLA, HOSA, SkillsUSA, and TSA are excited to announce registration for the Fall Leadership Conference (FLC) is open. The conference will be held at Delaware State University on October 25 (high school students) and October 26 (middle school students). Comprehensive Schools: Comprehensive middle schools and high schools may send up to eight (8) students per each CTSO local chapter (BPA, HOSA, TSA, SkillsUSA, etc.). Vocational Technical High Schools: Vo-Tech schools may send up to two (2) students per each CTE program (business, carpentry, electrical, nurse assisting, welding, etc.) for each CTSO local chapter (BPA, HOSA, TSA, SkillsUSA, etc.). *Note: Vocational technical teachers/programs will need to coordinate your registration of two students per each CTE program with your student activities coordinator. Registration: Registration is $30.00 per participant. Visit https://www.registermychapter.com/flc/de. *Note: When registering your chapter use the following naming convention: School Name-CTSO Name. Example: Fifer Middle School-BPA. If you have already registered, please update your school information. 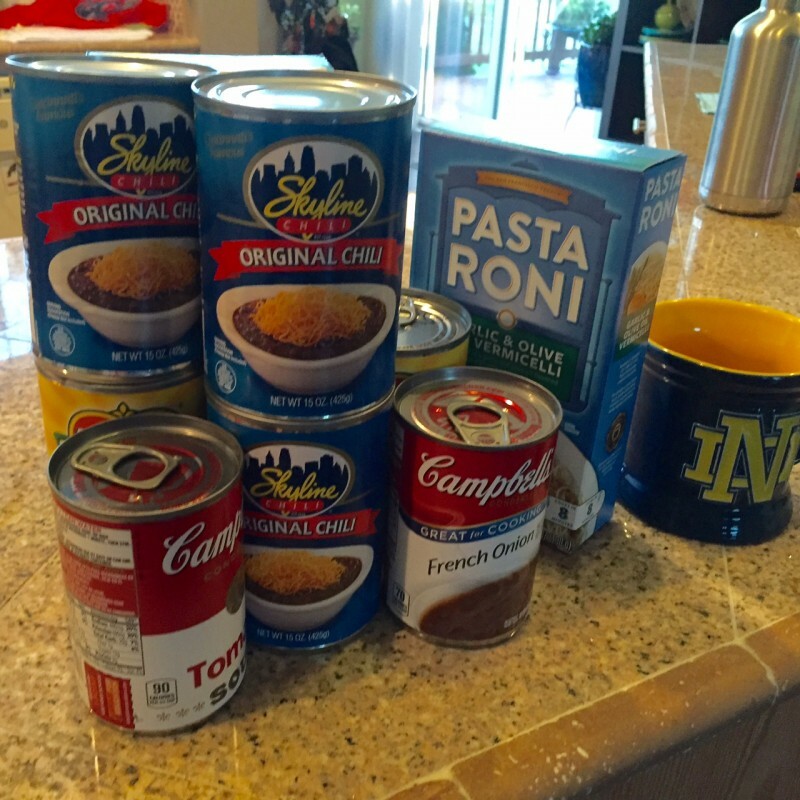 contribute to the Delaware FLC food drive! Invitation for Presentations: We are looking to expand the number of workshops and topics offered. Should you be interested in leading a session, or if you would like to invite someone to serve as a presenter on a topic that supports the professional growth of students in leadership/professionalism, please share the Presenter Invitation. Registration opens on September 1 and closes on September 30. Register early to ensure a space for your students to participate. For questions, please contact Mike Fitzgerald at mike.fitzgerald@doe.k12.de.us. On June 21 – 23, 2016 students and advisors from across the state attended the 52nd annual National SkillsUSA Leadership Conference in Louisville, Kentucky. Delaware students represented our state in competitive events that included: Architectural Drafting, Automotive Service Technology, Aviation Maintenance Technology, Carpentry, Computer Programming, Cosmetology, Criminal Justice, Diesel Equipment Technology, Electronics Technology, Extemporaneous Speaking, Heating, Ventilation, Air Conditioning & Refrigeration, Industrial Motor Controls, Information Technology, Masonry, Plumbing, Prepared Speech, Technical Math, Welding, and more. 25 Delaware students earned 13 top ten finishes in the national contests! Delaware SkillsUSA is a Career and Technical Student Organization (CTSO) dedicated to students who are interested in pursuing their future in technical careers. 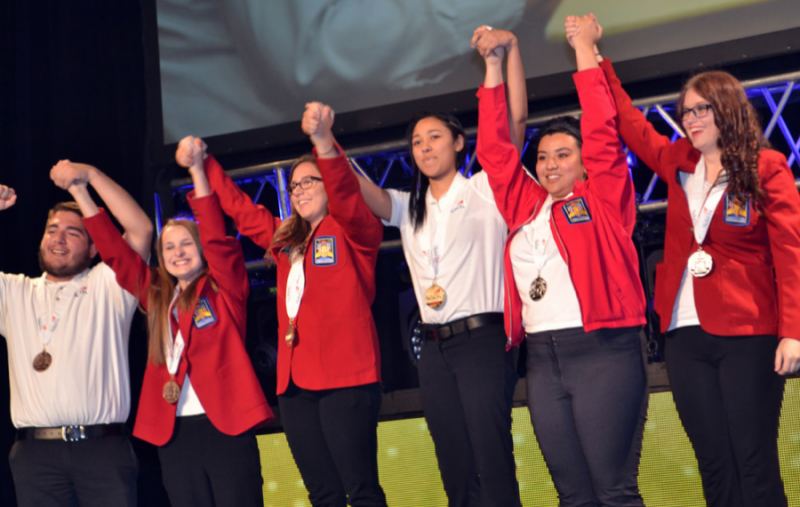 Through SkillsUSA, members have the opportunity to participate in career focused competitive events, take part in community service work, and become leaders for the organization in their school, state, and at the national level. 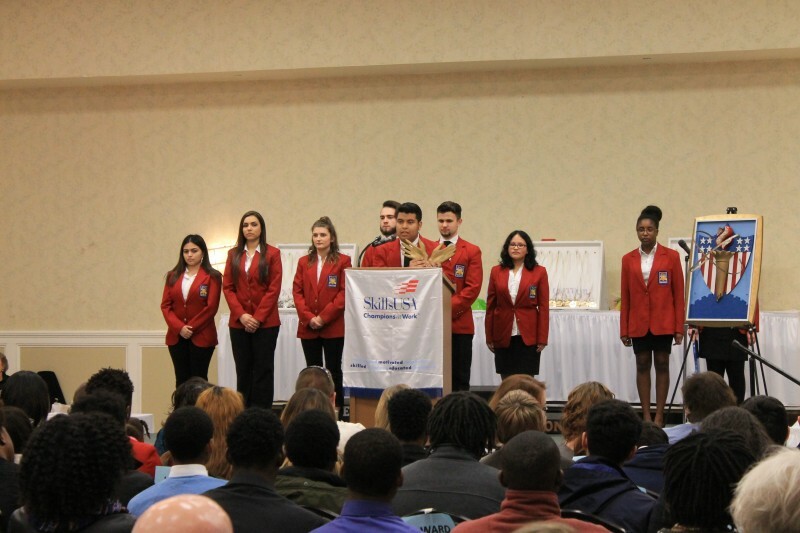 SkillsUSA incorporates curricular and co-curricular experiences to emphasize the importance of knowledge, leadership, skill development, and teamwork. 27 students earned top ten honors as part of the national contests. A list of all national finalists can be obtained online from: http://skillsusa.org. To learn more about Delaware SkillsUSA, please visit: http://delawareskillsusa.org/ or contact Mike Fitzgerald by phone at: 302.735.4015 or by email at: Mike.Fitzgerald@doe.k12.de.us. Delaware Honors it’s Champions at Work! The awards for the 2016 Delaware SkillsUSA State Contests were held on Tuesday, March 22 at the Modern Maturity center in Dover. The top medalists of 66 state contests that were held throughout the state in the month of February were honored with more than $534,000 in student scholarships and prizes from industry and academic partners such as: Automotive Training Center, Burmax Company Inc., Delaware Technical Community College, G & E Welding Supply, Universal Technical Institute, IBEW Local 313, Keen Gas Company, Lincoln Electric, Lowe’s, Miller Electric Manufacturing Company, Restaurant School at Walnut Hill College, and many more. The top medalist in each individual contest was be recognized for their outstanding achievement and they may have earned the honor of representing the state of Delaware at the National SkillsUSA conference to be held in Louisville, Kentucky. A list of last year’s 2016 State Finalists and the 2016 Awards Presentation are listed here. SkillsUSA officers had a great time on October 20th working with students from all across Delaware to develop their own chapter work plan during the Fall Leadership Conference. We began by warming up the crowd with a quick Icebreaker game called “Heads or Tails” followed by another called “The Jelly Bean Count”. 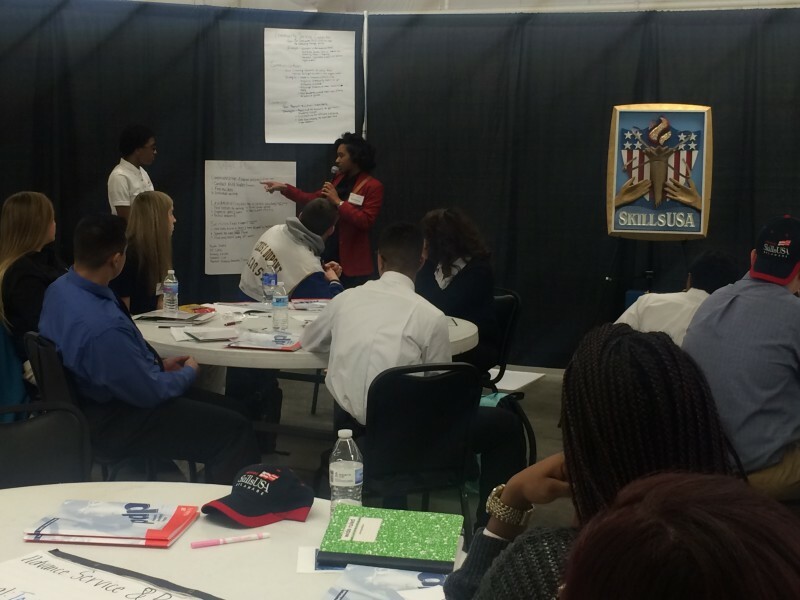 Afterwards, students began working on developing their own plans with the help of the officers and the SkillsUSA Professional Development Program booklets as reference material. Finally, the students presented their finished work plan ideas to other the other chapters. Chapters were encouraged to continue to develop their leadership by organizing a Leadership Lunch at their home school. The Delaware SkillsUSA state officer team would like to thank everyone that traveled to the fairgrounds in Harrington to take part in the conference. This year’s CTSO Fall Leadership Conference is next week (October 20) from 9:00 AM to 3:00 PM (registration is at 8:00 AM) at the Delaware State Fairgrounds. Students will participate in interactive, hands-on workshops that will help them develop leadership skills in all aspects of their lives. Workshops will be facilitated by Junior Achievement of Delaware and CTSO State Officers. Minimum dress code is a button-up shirt or blouse with a turned down collar. Skirt or pants. Unacceptable: jeans baggy pants, shorts, exterior pocket pants. Dress shoes or sandals (for females). Unacceptable: athletic shoes, combat boots, work boots. Please remind your students to bring donations for the food drive. We look forward to seeing you! The State Officers have planned a fantastic professional development to support you and your chapters. The Food Bank of Delaware will be onsite collecting canned goods and non-perishable items. Please bring donations.